Sleep Apnea: How we can help Are you at risk for oral cancer? 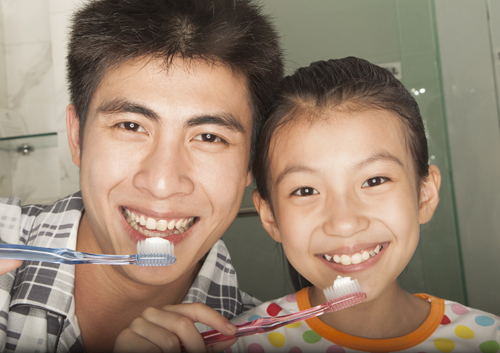 Many patients at Delhi Family Dentist are under the impression that harder brushing leads to cleaner teeth, but that is not true. Gentle brushing is just as effective, and less likely to cause damage. Other good brushing habits include brushing your teeth at least twice a day, replacing your toothbrush after a few months, and brushing for at least two minutes each time. It can be tough to keep track of the time when you are aiming for two minutes, but these tips can help.